By July 1639 England has become a simmering cauldron of discontent and the uncertain times are reflected in the lives of both the Maxwell family and that of master-goldsmith and money-lender, Luciano del Santi. From his seat in the House of Commons, Richard Maxwell watches the quarrel between the King and John Pym escalate into Civil War; his eldest son, Eden, takes up his sword for the Parliament and struggles to save his marriage to Royalist-bred Celia; and his eldest daughter, Kate, vows to hold their home against both Cavalier and Roundhead. 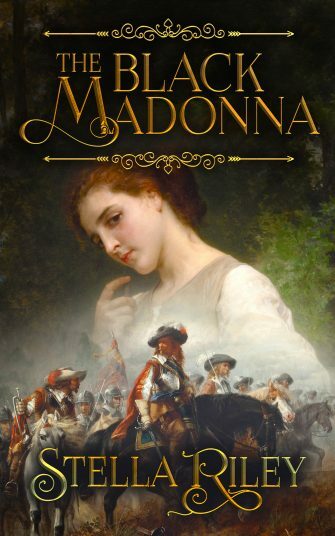 A spirited red-head, Kate is more than equal to the challenges posed by a war-torn land. The only thing she finds impossible to handle is her growing attraction to the clever, magnetic and diabolically beautiful young man known to London as The Italian. When he was twelve years old, Luciano del Santi’s life was ripped apart, leaving him with only one souvenir of both family and childhood. The Black Madonna … a small statue of carved obsidian. At the age of twenty, this relic of his past becomes the key to his future. Though intrinsically worthless, the Madonna is of great sentimental value to both Luciano and his wealthy Genoese uncle. And thus this simple artefact becomes the security for the massive loan Luciano needs to found a successful business in England and also finance the revenge quest which has taken him back there. Failure to repay his uncle will result in the loss of the Madonna and financial ruin. The vendetta, he soon learns, may cost him the girl he loves – and possibly his life. 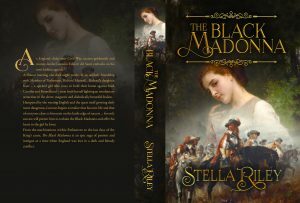 From the power-struggle within Parliament to the battlefields of a warring nation, The Black Madonna is a historically-detailed story of passion, intrigue and love in a time when England was lost in a dark and bloody conflict.